The cat’s out of the bag. If you didn’t already know, now you know. 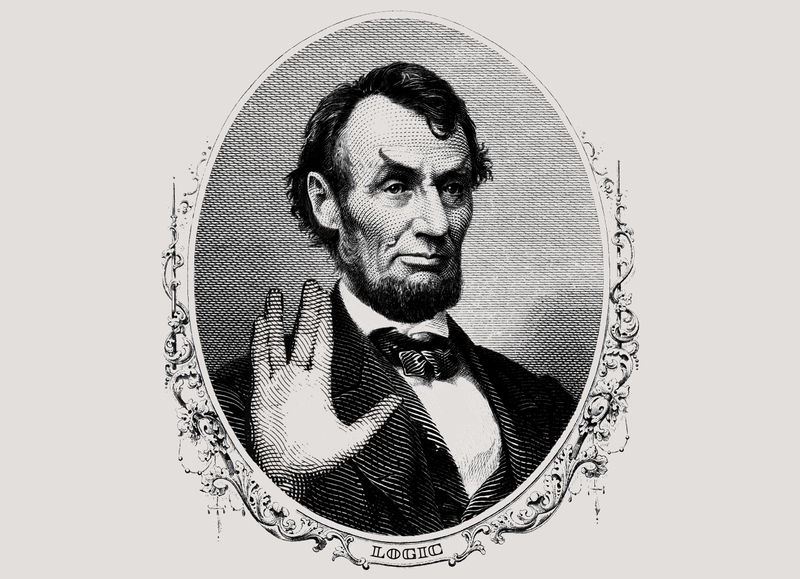 Lincoln was a Vulcan. It just makes logical sense. He was tall and skinny like a Vulcan and he made a lot of logical decisions as president. He just had cosmetic surgery on his ears and shaved his eyebrows. But he had green blood, you can count on it. And in the night time, he hunted vampires. And John Wilkes Booth was a vampire. Yeah, the assassination had nothing to do with the Civil War, it was revenge for killing his vampire family. Don’t believe me? Wrap this cloth around your torso and see how many people react to it. You’ll see. You’ll see.